Description: Wear it at 4:20 or anytime! 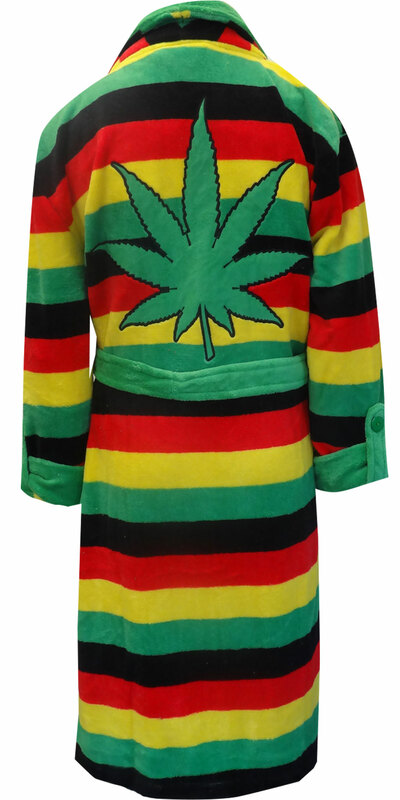 These awesome robes are a colorful Rasta inspired striped pattern. These ultra soft robes are super cozy! 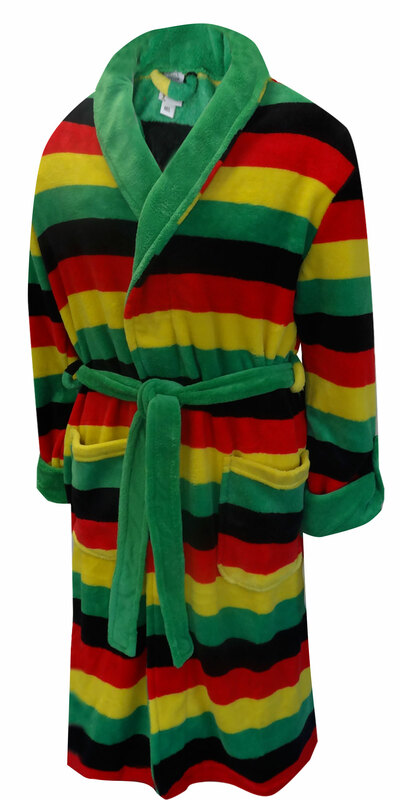 This soft fleece robe has two pockets and a green belt as an added accent. There is also a large pot leaf on the back of the robe. Unisex sizing, generous cut. I bought this as a gift for my son who doesn't even partake in the plant but likes the colors, has a pair of socks, blah, blah, blah. He's not a huge sports fan and I couldn't think of any other robe to get him so I got this one. However, I didn't see the huge ganja leaf on the back from this display or I never would have bought it. He's in college and it will cause way to much negative attention in his dorm lol. So though we all love it, its great quality like the best most expensive towel you ever owned, we will need to replace because of the leaf.